Sometimes changing culture is about taking baby steps; other times it is about creating a counterculture. 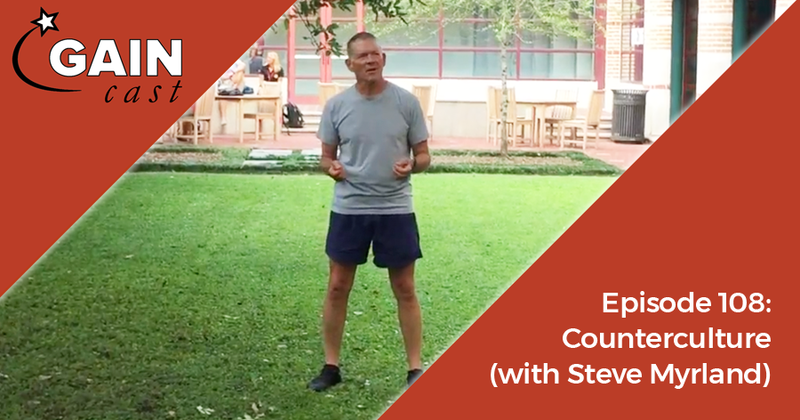 Throughout his career in elite sport Steve Mryland started to realize his approach just didn’t match with the traditional strength and conditioning culture. So now he is walking the halls of his local high school tyring to start his own culture from the ground up. That means getting head coaches on board, redifing how his success is measured, repriotizing physical education, and addressing the unique physical and cultural problems inherint in coaching teenagers. On this week’s GAINcast we dive into those topics, as well as some thoughts on training youth athletes.